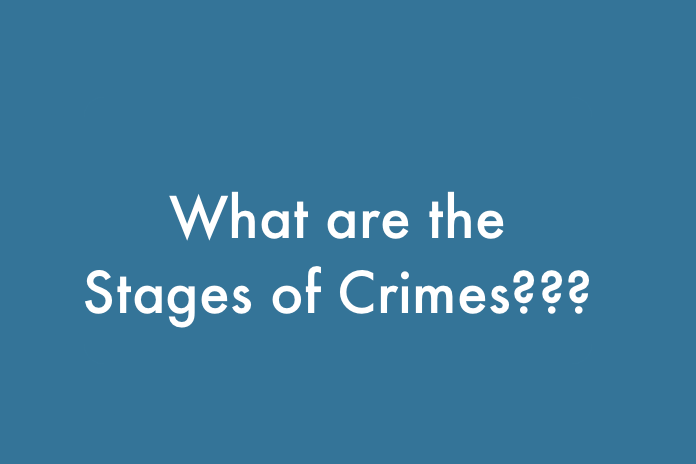 Home Bachelor of Laws 1st Semester What are the stages of a crime? Conceiving the idea of performing a legally defined harm – It is immaterial whether the person conceiving such an idea knows that it is illegal to perform it. At this stage, there is no action taken to harm anybody and it is not a crime to merely think of doing harmful activity because the person thinking it may not even want to actually do it. For example, merely thinking killing 1000s of people instantaneously, is not a crime. Deliberation – At this stage, a person consolidates his devious ideas and identifys ways of doing it. Again, there is no action taken and there is no harm done to anybody nor is there any intention to cause injury to anybody. It is still in the thinking stage and is not a crime. For example, merely thinking about how to build a device that can kill 1000s of people instantaneously, is not a crime. Intention (Mens Rea) – This stage is a significant progress from mere deliberation towards actual commission of the crime. At this stage, the person has made up his mind to actually implement or execute his devious plans. There is an intention to cause harm but he hasn’t yet taken any action that manifests his intention. Further, there is no way to prove an intention because even devil can’t read a human mind. Thus, this is not considered a crime. For example, intention to kill anyone is not a crime in itself. However, it is an essential ingredient of crime because without intention to cause harm, there can be no crime. On the other hand, even a thoughtless act, without any deliberation, can be a crime if there is an intention to cause harm. Preparation – As this stage, the intention to cause harms starts manifesting itself in the form of physical actions. Preparation consists of arranging or building things that are needed to commit the crime. For example, purchasing poison. However, it is possible for the person to abandon his course of action at this stage without causing any harm to anyone. In general, preparation is not considered a crime because it cannot be proved beyond doubt the goal of the preparation. For example, purchasing knife with an intention to kill someone is not a crime because it cannot be determined whether the knife was bought to kill someone or to chop vegetables. Sec 122 – Collecting arms with an intention of waging war against the Govt. of India. Sec 126 – Preparing to commit depredation on territories of any power in alliance or at peace with the Govt. of India. Sec 235 – Counterfeiting operations for currency. 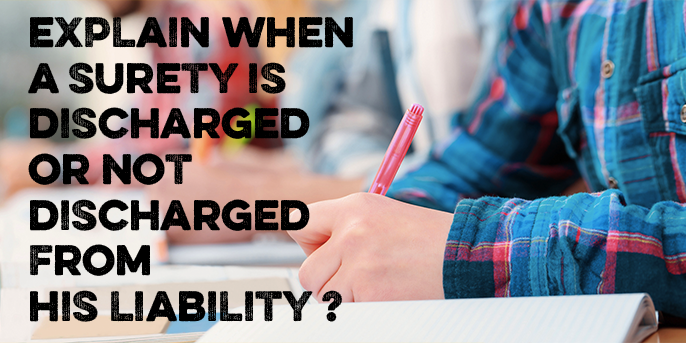 Sec 399 – Preparation to commit dacoity. Attempt – This stage is attained by performing physical actions that, if left unstopped, cause or are bound to cause injury to someone. The actions clearly show that the person has absolutely no intention to abandon his plan and if the person is left unrestricted, he will complete the commission of the crime. Since the intention of the person can be determined without doubt from his actions, an attempt to commit a crime is considered a crime because if left unpunished, crime is bound to happen and prevention of crime is equally important for a healthy society. Actual commission of the offence – This is the final stage where the crime is actually done. As per this test, all of indispensable elements must be present to equal attempt. For example, a person has the gun to kill but he forgot the bullets. In this case, it would not be an attempt. Further, he goes to place where victim should be but is not then he is not guilty of attempt under this test. In other words, if there is something a person needs to commit the crime but it is not present, then there is not an attempt. This test has generated a lot of controversy ever since it was laid in the case of Queen vs Collins, where it was held that a pickpocket was not guilty of attempt even when he put his hand into the pocket of someone with an intention to steal but did not find anything. Similarly, in the case of R vs Mc Pherson 1857, the accused was held not guilty of attempting to break into a building and steal goods because the goods were not there. However, these cases were overruled in R vs King 1892, where the accused was convicted for attempting to steal from the hand bag of a woman although there was nothing in the bag. Illustration (b) of section 511 is based on this decision. This means that if a person intentionally does something to kill another and if the other person is not killed, he would be liable for attempt to murder. However, his action must be capable of killing. For example, if a person picks up a pebble and throws it on someone saying, “I will kill you”, it is not attempt to murder because it is not possible to kill someone with a pebble. But if someone swings a thick lathi and misses the head of another person, it is attempt to murder. A, intending to murder Z by poison, purchases poison and mixes the same with food which remains in A’s keeping; A has not yet committed the offence defined in this section. A places the food on Z’ s table or delivers it to Z’s servant to place it on Z’s table. A has committed the offence defined in this section. In Vasudev Gogte’s Case 1932, the accused fired two shots at point blank range at the Governor of Bombay. However, it failed to produce any result because of defect in ammunition or intervention of leather wallet and currency. It was held that to support conviction under this section the accused must have done the act with intention or knowledge that but for any unforeseen intervention, it would cause death. Thus, he was held guilty. In this case, there are two people who are doing the act – one is an adult and one is a boy between the age of 7 and 12. Thus, as per section 83, first of all it will be determined if the boy had the maturity to understand what he was doing and what could be the consequences of his act. If upon analyzing the facts of the situation and cross examining the boy, it is determined that the boy was mature enough to understand the nature of his act, he will be treated as an adult. In this case, as per section 34 (Act done by several persons in furtherance of common intention) both will be charged with the same offence as if they had done it alone. Otherwise, the boy will be acquitted by giving the benefit ofsection 83 and only the man will be charged. Their actions show that they had full intention to cheat public by selling adulterated petrol and if the police hadn’t stopped them, they would have sold the adulterated petrol. Since the whole underground tank was being adulterated it can be safely assumed that they had left no option to change their intention. However, since the petrol was not sold yet, no body was cheated and thus, they will be charged under section 511 read with attempt to commit the office of cheating, which is defined in section 415 and the punishment for which is given in Section 417.